Photo by Julie Torchia | Rhody Rhapsodies performs a capella with enthusiasm and vigor. Rhody Rhapsodies, an acapella group at the University of Rhode Island, performed their annual Winter Concert on Sunday, Dec. 2. in the Memorial Union Ballroom. The acapella group’s winter concert was composed of nine songs that included a brief intermission for the members to rest their voices and greet audience members. Some of the songs they performed were “White Winter Hymnal” and “Daft Punk Mashup” by Pentatonix, “No Air” by Jordin Sparks and “Do I Wanna Know” by the Arctic Monkeys. Vice President of Rhody Rhapsodies Katie Farman said that they prepared all semester for two hours twice a week for the winter concert. At the start of the semester, Rhody Rhapsodies hold auditions for new members. Forman said that those interested must audition in order for the executive board to complete the breakdowns of the group and test for the best possible voices to blend with the rest of the group. Along with the semester’s newest members of Rhody Rhapsodies, the executive board proposes a list of songs for their concerts and members vote to choose which ones they want to sing at the beginning of the semester. 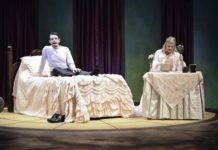 To help them learn the songs and blend their voices together, Rhody Rhapsodies use an online software called Note Flat. In addition to the Winter Concert, Rhody Rhapsodies holds other performances and are involved with other local acapella groups. 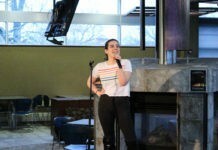 “We have an invitational concert at the beginning of the semester to show what we’ve been working on,” Farman said. Farman said that the invitational concert is composed of multiple acapella groups which Rhody Rhapsodies is invited to join. “They come here and jam out and have a good time and spread the word on each other,” Neves said. 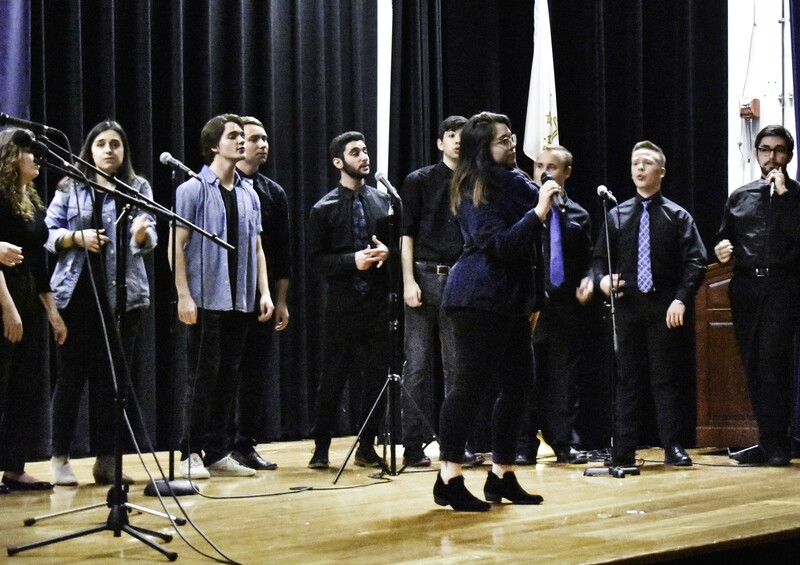 According to Farman, Rhody Rhapsodies also performs at other schools and sometimes collaborates with the other acapella group on campus, Musically Inclined. “We love to get involved at events around campus and for people to learn about us and get more interests each semester,” Farman said.